DESCRIPTION: Their average wingspan is 22.4 in. and they weigh 4.3-6.8 oz. DIET: Their main diet consists of insects, but they also eat seeds. 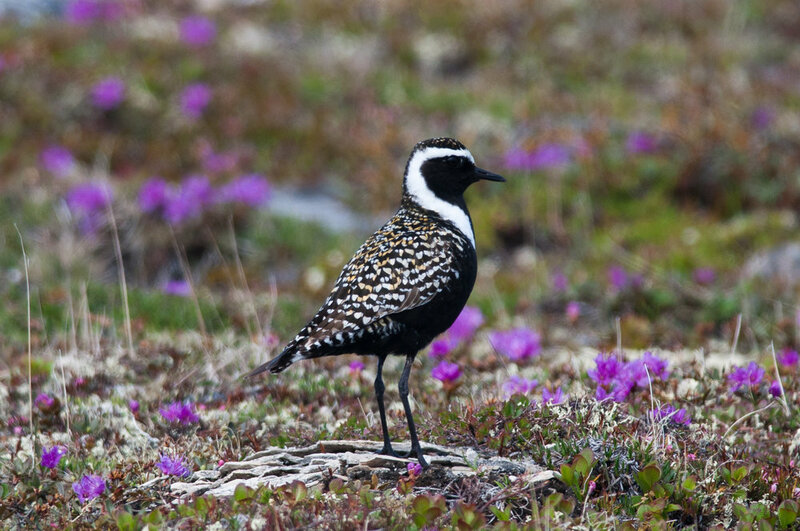 HABITAT: American Golden-Plovers live in tundra, grasslands, and shorelines. NOTES: Their common call is “que-dal” or “tuu-u-ee.” They are protected on the US Migratory Bird list.